At Marylou’s, we love our customers! And we’re showing you that love with our new Pink Perks customer rewards program. Pink Perks is a simple, easy way to enjoy even more of our great coffee, snacks and treats. All on Marylou! 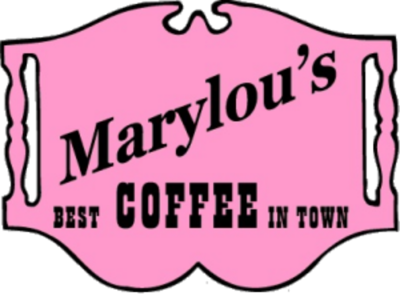 Start by visiting any Marylou’s Coffee location and choose a Pink Perks card from our selection of designs. Then add value to your card at the cash register. You don’t even have to sign up. 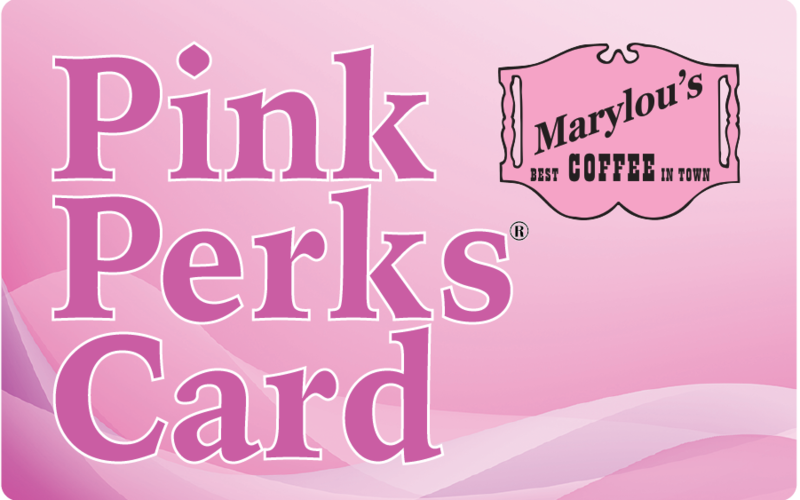 Use your Pink Perks card to make coffee purchases at any Marylou’s. Every time you use your card to purchase a coffee drink you’ll earn additional Pink Perks value equal to 1.5% of your purchase price. This value will be added to your card automatically. It’s that simple! 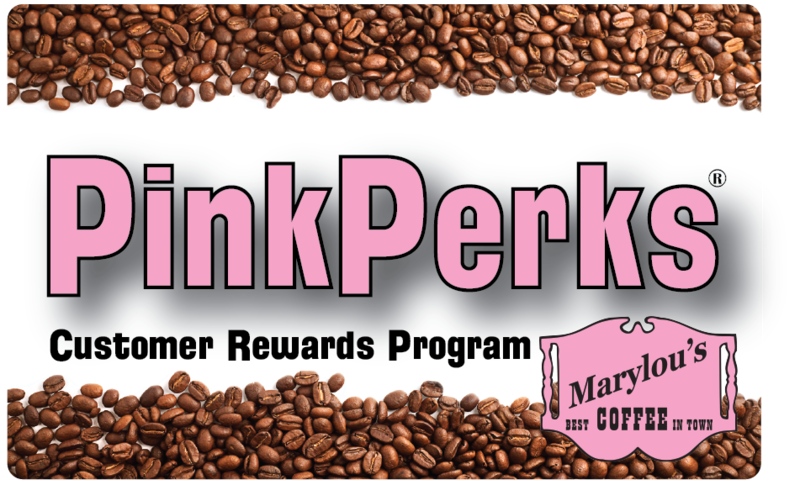 Pink Perks is a fast, easy and fun way to earn rewards for enjoying your favorite Marylou’s coffee. Get your Pink Perks card today, and start earning your rewards!